Nick is a lead water technician who is IICRC Certified and who primarily works on water losses. 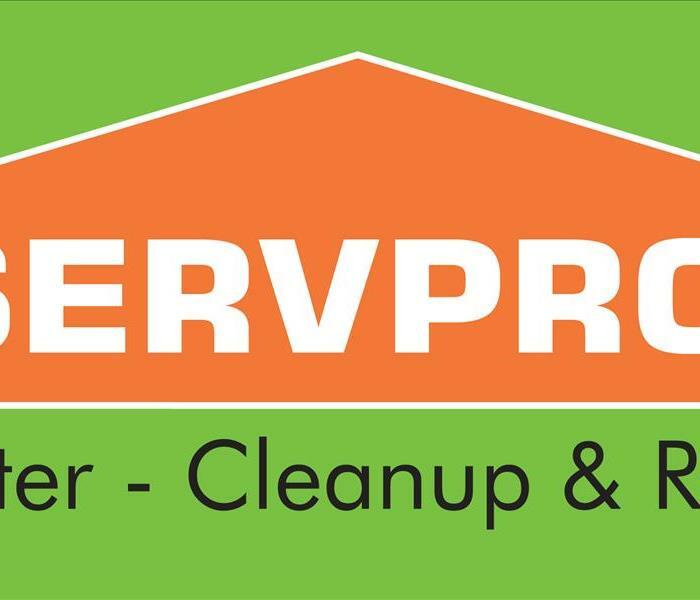 He has been working for SERVPRO for over five years. Nick is neat, organized, and meticulous when doing demolition or cleanup after a water damage event. He is careful with customer belongings and ensures that the needs of the customer are met. Every year, Nick spends time at Cannon Beach, Oregon with his family. His most fun quality is his devotion to Red Bull. Burgie is a lead water technician who is IICRC Certified and who primarily works on water losses. 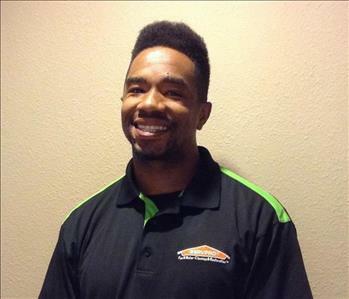 He brings a team spirit and encouragement to all of SERVPRO of Tacoma. Burgie is a fun, loving, carefree spirit full of energy and life. He loves being active and riding his bike at the park. If you need a hand, Burgie is always there to help. No job is too little or too big to Burgie- he's a great team player and a valued member of our team. Etosha is a fire technician who primarily works on fire losses. On top of cleaning our customers' home and belongings for smoke and/or soot damage, she handles the bulk of our customer inventory. Although she shines out in the field, she also lends a hand in the office. Etosha's outgoing and positive personality makes for a fun work environment for both our technicians and our customers. She is a proud dancer and won't be afraid to show you her moves. 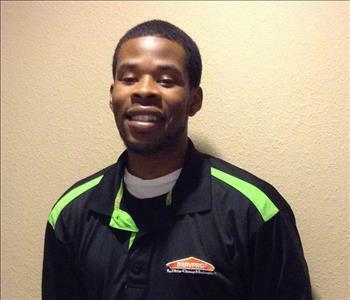 Marquise is the newest member of the SERVPRO of Tacoma team. He is a water technician who primarily works on water losses. Along with water jobs, he is trained in packing and moving contents and documentation of customer belongings. Marquise is a team player and is always willing to step up when help is needed. Outside of work, you can find him on the basketball court "shooting hoops" or cheering for the Seattle Seahawks. Roscoe is a lead water technician who is IICRC Certified and who primarily works on water losses. He occasionally assists on cleaning jobs and fire losses and is our go to guy when it comes to carpet cleaning. If heavy equipment is involved or needs to be moved, Roscoe picks it up with no problems and can often carry two at a time. 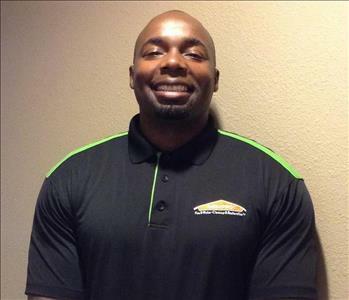 Though he is a former football player originally from Cincinnati, Ohio, he is a gentle giant and his many "strengths" lend to being a key player in the SERVPRO of Tacoma team. 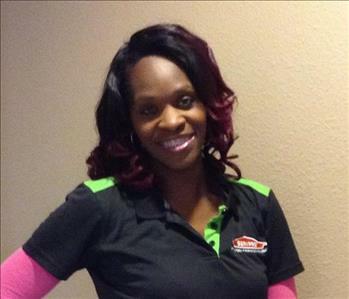 Christine Wright has been with SERVPRO of Tacoma for five years. She is the glue that holds us together. She brings a smile and charisma that are unmatched making all of us very lucky to call her our office manager. If you need something, all you have to do is ask and it’s done before you know it- not to mention she has an uncanny way of anticipating your needs. 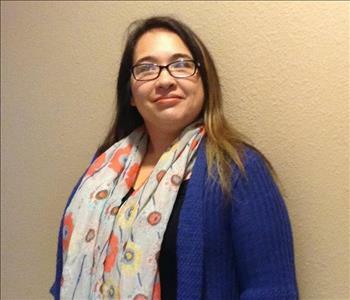 Christine is a married mother of three and loves being involved with all her children’s dreams and endeavors. Her music selection is surprising, having a love of every genre imaginable. 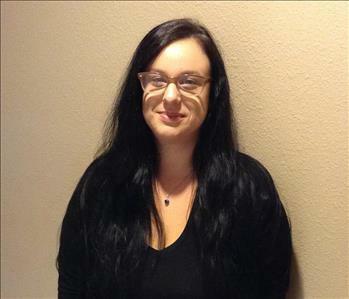 Melissa Collins represents our administrative team at SERVPRO of Tacoma. She plays an integral part in keeping the wheels turning. Melissa is reliable and ready to assist the team when we need her. She goes above and beyond to ensure our staff and customers’ needs are taken care of from the beginning to the end of a job. Melissa has one daughter who she loves and adores. She was a dancer for six years and was the captain of her dance team in high school. Melissa loves to accessorize and her favorite color is pink. Jeff is our Production Manager. 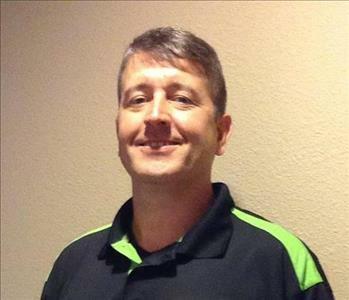 Jeff is seasoned in everything repairs and is an expert and putting homes back together. He works directly with our customers to ensure their home returns to preloss conditions, "Like it never even happened." He is excellent at keeping our customers informed and in the decision making process. 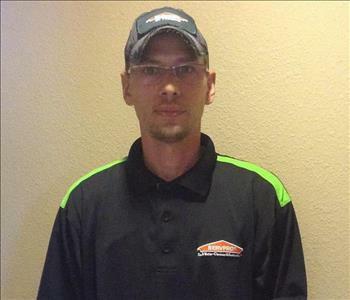 He is not only a hero at SERVPRO of Tacoma, but he is a hero to our country. He is a Marine Corps veteran who served in Saudi Arabia during the first Iraq War- Desert Storm. In his free time, he enjoys camping and riding ATV's with his wife and son.